Home›Articles›Sorry, Freestyling In Beatbox Battles Isn't Enough. 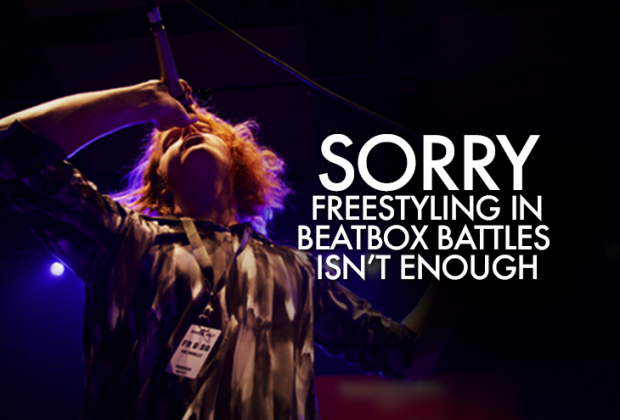 Sorry, Freestyling In Beatbox Battles Isn't Enough. Freestyling has been a part of every subculture of hip-hop, from breaking to turntabling, ever since ciphering (jamming) became popular. This is an open discussion about freestyling in beatboxing and beatbox battles. I want to talk about the origins and assumptions surrounding this topic, and what place freestyling has in present-day beatboxing. Shortly after emceeing gained traction in the 70's and the 80's, the East Coast hip-hop scene introduced battle rapping. Freestyling in rap battles, although not necessarily required, has always been a signifying factor in who the stronger battler is, due to being able to comment on the other person's appearance and character on the fly. It also allows the rapper to reverse a line used against them in the following round. Since rap battles are almost entirely braggadocious in nature, freestyling can be integral to the success of the battler for the reasons stated. In the present-day rap scene, freestyle battling is mostly underground. However, a lot of radio hosts have freestyle segments with popular rappers that often find their way to YouTube. With the rise of the current generation of rappers (trap and mumble rap), many people challenge the credibility of these artists as emcees due to their inability to freestyle rap. What Does This Have To Do With Beatboxing? Well, the beatbox battle scene can be most directly associated with the rap battle scene, as that is what inspired its inception (although beatbox battle formalities emulate breaking battles moreso). In beatbox battles today, there is a battle of how important freestyling is, and it what scenarios. When is it okay to freestyle on stage? Does being able to freestyle effectively make you a better beatboxer? A better battler? Although early beatboxing and beatbox battles did require a small amount of freestyle ability (counters have always been a strong battle tactic), beatboxers were often known for their signature techniques like Kenny Muhammed's "Wind Technique" or sets like Rahzel's "If Your Mother Only Knew." 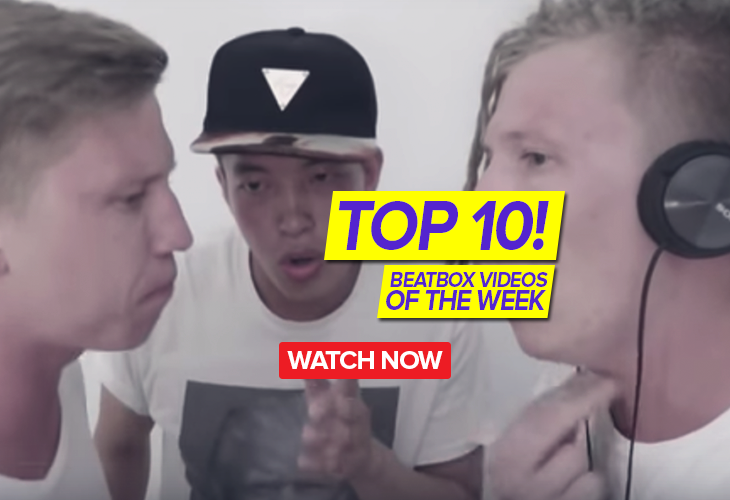 These weren't off limits for these beatboxers in any setting, battles or otherwise. Freestyling was never an integral part of beatbox battles, old or new school. With beatboxing stemming so directly from the rap scene, it's shocking how little beatboxing and beatbox battles rely on freestyles at its core. That's not to say freestyling doesn't have its place in beatboxing, though. In ciphers across the hip-hop subcultures, freestyling is a commonality. It wouldn't be unusual to do a prepared piece, but in such a relaxed setting, people feel comfortable enough to mess around. You're not competing for a prize, you're just jamming with your friends. 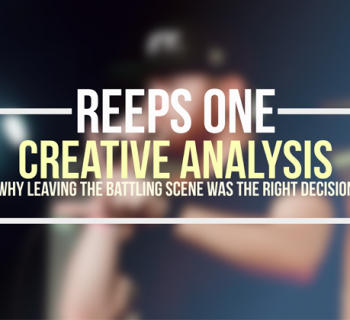 Whenever beatboxers hit the big stage, with pressure coming from all sides (judges, audience, prize pool, videography), beatboxers want to perform their best. Not only that, but it's expected for them to do their best. This is why it's common (and recommended) for beatboxers to have as much prepared material as possible in this setting. With the growth of our subculture, and with the rise in the level of competition across the globe, battles are getting harder and the stakes are getting bigger. Where great beatboxers used to get by freestyling their way to the top, they are now finding it's not even enough to climb with. Structure is showing its head as one of the most indispensable factors across all judging criteria, as it influences everything from musicality to flow. 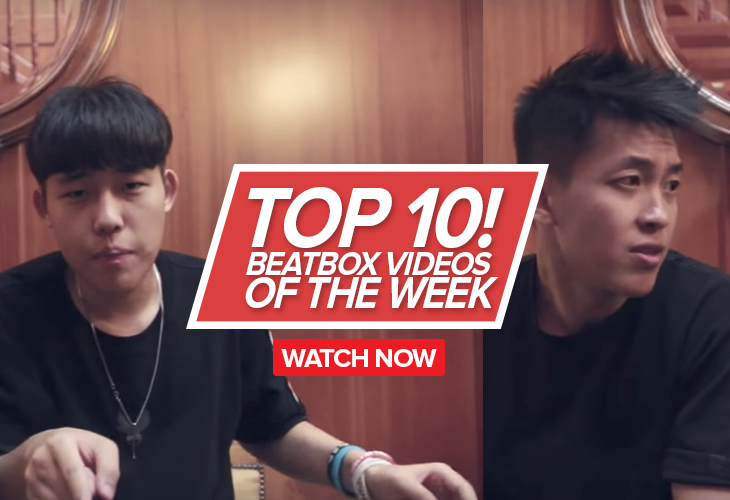 Freestyling has its place, but beatboxers with more prepared sets are seeing more success. But why? Unlike emceeing, where the music exists and the rhymes are to be written, beatboxing is writing a song from scratch. Instead of being an accessory to the music, its ground-up music creation: from the beat patterns to the melody, from the sounds to the silence. Where you may hear a guitar solo in music, there's always a consistent back beat and melody. 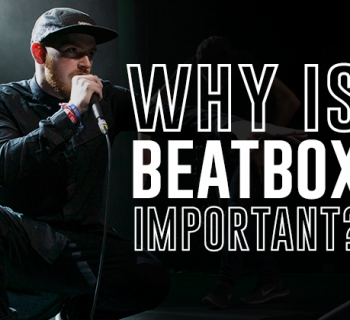 Beatboxing, although it can be both, is at its core that consistency. If you aren't the best freestyler, that's okay in beatboxing. Some of the best musicians in the world can't put together an improvised solo, but that doesn't take away from their legitimacy. Just remember: you're making music. That's all there is to it. Remember, this is an open discussion! Feel free to comment your thoughts or start a conversation in the forums! If you'd like more articles like this, or maybe a full-length video on the topic, let us know. Start feeling comfortable in your body and open your heart while beatboxing. That is what the Spirit of Beatbox is about. Pd: I hope your ego is not very triggered by this information and your consciousness has started to overpower it. I think there is definitely potential for beatboxers to freestyle in a battle. As someone that does it extensively in battles, I would comfortably say the shortfall of it is down to maintaining the focus of doing something different every time. As the article says it’s about a comfortable environment, and a battle is the direct opposite of that- you’re trying to win. It’s too easy to get comfortable with what you know, so more time you will end up repeating material. if there’s a focus on bringing a certain atmosphere or moving certain rhythms & flows to a crowd then anything’s possible. I like that the new gen is focused on full-blown composition to give an more of an artistic feel to battling & showcasing, the new school is in good hands with this new creative wave of talent. What about a person in control of his subconcious mind enough that can bring into reality full structured songs? I believe this is posible if getting out of the conditioned mind and emotions that society dogmas impose. A free individual can just play beautiful music without having anything prepared before, just let his Spirit express the beauty of life.